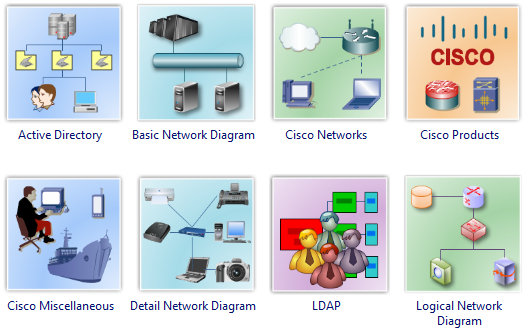 With so many examples and templates, it is easy to draw network diagrams, home network design, wireless network diagram and Cisco network topologies. 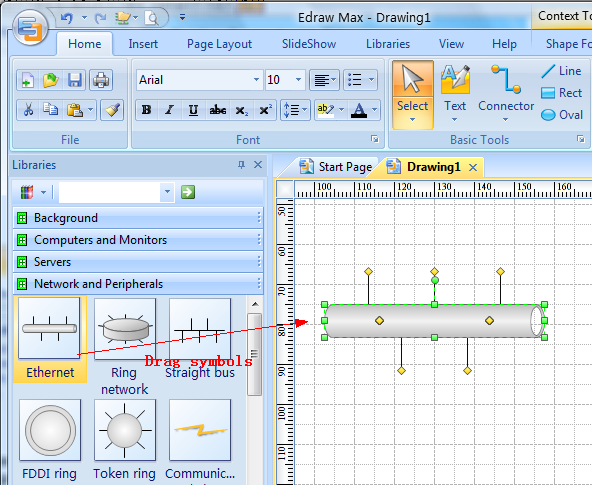 Edraw also allows you to draw professional network, system and UML diagrams, schematics and web diagrams. Firstly, click one of network draw types in the Network Gallery panel. Then Edraw will open the relative network templates. Drag the symbols from the template and start your creation. It's easier to draw network diagram based on the built-in network diagram examples. Switch to the Example Panel. 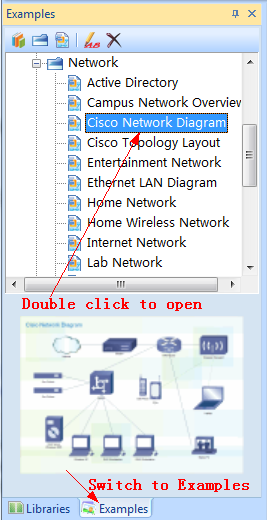 Browse the network folder to open examples.